Mameng, a 62-year old woman who for the past 40 years is living-in with Gener, her husband’s best friend when the latter left her when he joined the US navy. Mars never communicated with Mameng for four decades and Gener took over the role of her husband. Suddenly, Mars arrived from the States and decided to spend the rest of his sick days with Mameng much to her surprise and much to Gener’s annoyance. 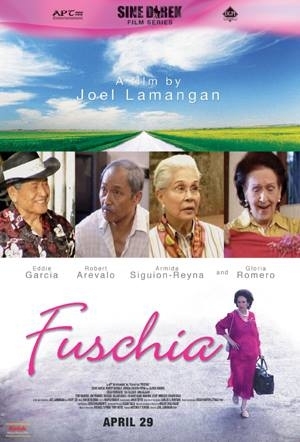 Fuchsia is a 2009 Filipino drama-comedy film directed by Joel Lamangan. 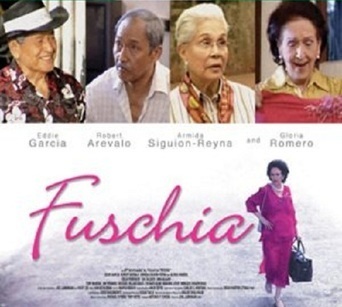 It stars Gloria Romero, Eddie Garcia, and Robert Arevalo.